What have you watched lately ? "... movie, TV show [may contain spoilers]"
Mod is finished, going to test it. That movie is on tv in 30 minutes but no force on earth could get me to sit through three hours of it. Saw E.T. in the EYE film theatre/museum in Amsterdam yesterday. It was not only nice to finally view it on the big screen, but it was also the first time I've been to the cinema in nine years. On the downside, contrary to what I interpreted from the information on the website, the 20th Anniversary "walkie talkie" version was shown in stead of the original film. Worse was the picture quality; apart from exhibiting a lot of defects for a print that can't be more than a good ten years old, it also suffered from obvious telecine wobble, oversaturated colour, severe image softness and an extreme lack of shadow detail with dark greys replacing blacks. Really a shame that such a beautifully shot film wasn't done justice, but the kids in the audience loved it to pieces nonetheless - it definitely still 'worked' a good thirty years later. Avatar is a movie that doesn't share the enduring cinematic magic of Spielberg's classic. I watched it on TV last night and it managed to underperform in spite of my already dim expectations. The post-Terminator 2 Cameron has never impressed me terribly (though the Abyss has some nice bits), but I still didn't think he'd deliver something quite this bland. Apart from the incredibly simplistic, predictable and derivative plot, there's a complete lack of interesting characterisation and even the film's visuals didn't impress me greatly. Avatar may be a vast technical accomplishment and I fully admit I didn't exactly see it in the highest fidelity possible (analogue TV signal, two pieces of cable patched together without amplification, standard definition set), but even so there are plenty of grounds for criticism. For one thing, despite all the glowing tree vines and plant leaves, there's a blue-green dullness to Pandora (and the movie as a whole) and where more vivd colours were used, the result felt very basic, artificial and 'flat'. Then there's the CGI and its animation, which never truly became lifelike; even under less than optimal viewing circumstances there's a clear distinction between the on-board real time acting parts and the virtual bits. On top of that, the alien creature design wasn't very inventive, mostly consisting of dinosaurish mashups of existing animals (e.g. the hammerhead rhino). There are other aspects that suspend disbelief, such as the vulnerability of the human military arsenal to Pandora's primitive weaponry and fauna, but what it comes down to in the end is that in my view this multi-billion dollar epic is inferior on just about every level to the comparitively shoe-string budget Terminator from back in the days when Cameron was still creatively challenged by substantial technical and financial limitations. 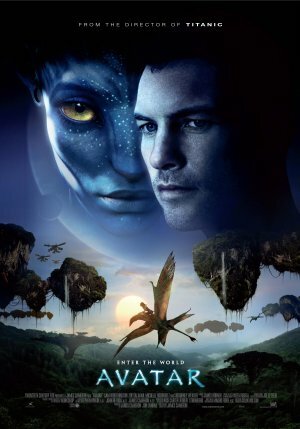 ^I saw Avatar in 3D (in theater) so it was visually very impressive. Of course, if you take the visuals out, you're left with nothing but an incredibly naive story. Dredd (2012) which was awesome, and then I rewatched Escape from New York and Escape from L.A. "2013 - NOW." Gorky Park ... the ending is a little on the lame side, but the rest is worth watching. I just got back from the Cinema. I saw the new movie " MAMA". I jumped a few times and had a couple of tingles up the spine. Its good to know that the art of making a real scary movie without stupid teenagers or comedy is still alive. X-Men: First Class. Good movie, maybe the best X-Men film. Good cast and I like the fact that they brought in some lesser known characters instead of the usual Logan, etc. Fassbender is a very good actor. Watched The Hobbit in theatres last week and it made me feel like rewatching all of LOTR again (even The Two Towers which I remember being tremendously boring, but it has been over 10 years now since I saw it so maybe I will like it more today). It's getting late though so I had to cut The Fellowship short at the halfway mark. Gonna watch the rest of it tomorrow. Its a yearly tradition for me on Christmas night to watch the first 3 LOTR movies. Sometimes I don't quite make it and have to watch the last of the 3rd one the following day. OK, we shall watch LOTR, who needs Christmas as an excuse? (even The Two Towers which I remember being tremendously boring, but it has been over 10 years now since I saw it so maybe I will like it more today). That's the best part of the trilogy, at least its extended version. The first part feels too much like an intro (still a good movie though) and the third one is the worst (but not bad). Disaster Movie. This is a part of that Scary Movie line of parody films. Some of them have been very good (Scary Movie 3 & 4, Superhero Movie), others complete misses (Meet the Spartans). This is one of the misses. In fact, it's the worst movie I've ever seen. Even more, it has the honor of being the first movie I had to stop watching because it was so awful. This happened about a year ago, but yesterday I forced myself to watch it entirely; I had paid money for it, after all. You know how some movies are so bad that they're actually rather entertaining for their unintentional comedic value or something (such as the first AvP)? Well, this one is just embarrassingly bad. Technically a drama, low rating, but I like. Bitter sweet with hilarious moments. Watched a bunch of classic Simpsons. Eternal Sunshine of the Spotless Mind. I saw this a couple of years back, didn't really like it, and I didn't really like it now either. I simply don't find the story interesting at all. To each his own, I still feel The Two Towers is the weakest of the bunch and Fellowship is the best one IMO. Started watching Game of Thrones as well finally. It's alright. What a coincidence, I just finished watching the extended Lord of the Rings films myself. The first one was pretty boring. The second and third one rocked hard though. It was the first time I ever watched them too. Now I actually appreciate The Hobbit, which I thought was elementary having not seen any of the Rings films. It touches on some very dark themes without going overboard. I understand the story may not be very interesting. But there´s something I really like about that movie: In its own fantasy, it makes a lot of sense. It´s not a magical thing which erases your memory, is a computarized laser lobotomy that uses 3d brain coordinates. When the pacient tries to remember something, they track down the physical location of the brain´s activity, to later destroy it. I find that, and the way the "clinic" is performed very convincing. It´s also quite logical how the conscious side of the brain -represented as him in his induced dream- tries to fix and workaround the damage. The few times I watched it I concentrated myself in that aspect of the movie, the other -more theatrical- side, is quite bland indeed. From the title and the ridiculous voice-over I expected it to be the US film. I actually don't like these dark movies with imperfect people doing bad things to one another. That's one reason why I don't watch horror films. I need characters I can look up to. Started watching The Walking Dead finally. Halfway through season 2. Waiting for the next episode of Archer. Disaster Movie. [...] In fact, it's the worst movie I've ever seen. Even more, it has the honor of being the first movie I had to stop watching because it was so awful. At least they got the title right, eh? Though I'm of the opinion the whole group of those movies is terrible. Abstraksjon: når man tror at noe gjør det enklere, men fører til at det blir komplisert. "A celibate clergy is an especially good idea as it eliminates any genetic tendencies towards fanaticism." Well, the main character (Lisbeth) is an abused child fighting back. I like her solution to being brutally raped. So, I may not look up to her, yet give her certainly two thumbs up. another very old movie about - ehmm - with S. Weaver. Just finished watching the whole Back To The Future trilogy for the first time. I say, I think I may have stumbled upon the best movies I've ever seen. Hunger Games. The premise is of course silly and kept me from seeing the movie so far: At least the Romans had slaves as gladiators and The Running Man had convicts, so the idea of teenagers being forced to compete to death in front of a live tv audience was just unrealistically stupid. But I got past that after the first half an hour or so and was able to enjoy the movie. Very exciting and I loved female lead. 4/5. It's a movie, so way beyond reality is allowed in my books. And, there was some very good acting in this movie, hopefully Jennifer will get some better scripts to work with. Three faces with very convincing emotions.